Need more apps for your favorite device? iOSnoops can help! 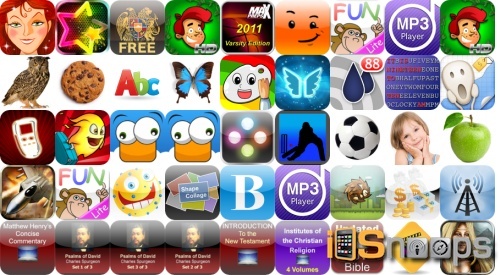 Here are 42 iPhone, iPad and iPod touch apps that have just gone free. This apps gone free alert includes Snappers, Blast Fighter, Lights Out Pro, My Video Diary, Smurks, Neon Mania, Twitter Manager, and many others. Remember, prices can change quickly and without notice, these apps may not be free anymore when you read this post. For real-time app deals, check out our iPhone Apps and iPad Apps sections, as well as our Apps Charts. You can also check out our Apps Gone Free section, as many free apps uncovered over the last couple of days are still free today. ABA Problem Solving Game – Which Go Together? Lost Underworld HD – Great Adventure!